Royal Enfield Offers 2 Bullet models in India. 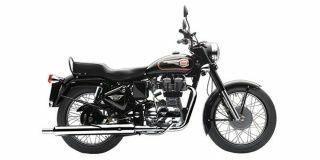 Royal Enfield Bullet 350 is the lowest priced model at Rs. 1.16 lakh (Ex-Showroom, Delhi) and Royal Enfield Bullet 500 is the highest priced model at Rs. 1.69 lakh (Ex-Showroom, Delhi). 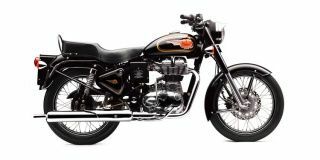 Royal Enfield's Bullet is one of the oldest selling motorcycles in India and the cult status it follows speaks volumes about the bike. Now available with a more modern Unit Construction Engine (UCE), the bike has come a long way in terms of reliability. The Bullet is available with a carburetted 350 cc or a 500cc engine. Q. Does Bullet Standard 350 comes with ABS and self start? STD 350 is kick start & drum brake only black color. Electra 350 , Self start with disk brake ( No ABS) , From Classic 350 ABS is available. Q. Which is good to buy Bullet 350 or NS 200? Both are different segment . If you need a peppy & Sporty ride go for NS 200 . Solid stable ride with road presence means go for any RE 350 model. Q. Is it worth able for a long road trip? Q. I am 5.4 ft, which bike is comfortable? Its depend on which cc you want and your budget. Q. My daily drive is 40 km, which bike to choose?